Voodoo Tiki Tequila and landmark Gastro Pub Darby’s Pub announced today they have entered into a partnership to make Voodoo Tiki Traditional and Infused Tequilas available in the historic neighborhood meeting place. Voodoo Tiki Platinum, Reposado, Anejo, and the smash hit Desert Rose Prickly Pear Infused are available now. Darby’s Pub will also be one of the first in the nation to receive the brand new Blue Dragon Blue Raspberry and Kiwi Infused tequila. Voodoo Tiki Tequila is boutique brand of ultra premium traditional and infused tequila. The company’s newest exciting feature is Voodoo Tiki Desert Rose Prickly Pear Infused tequila, which is used to make their signature Prickly Pear Margarita. 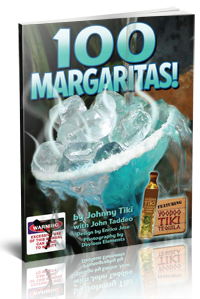 All Voodoo Tiki Tequila is 100% blue agave and all natural with no additives, preservatives or artificial color. The award winning and highly rated product is very limited in production. Due to the limited nature of true craft tequila, and to ensure availability to existing accounts, the company adds only a select 300 new retail accounts per year into their “Selective Retailers Program.” Members receive an unprecedented level of retail benefits and sales support. Retailers interested in applying should dial 1-Voodoo-Tiki. Darby’s Pub offers over 260 domestic and imported beers from around the world, a wide variety of ciders, over 200 local and imported craft beers, over 300 different wines from around the world and an extensive selection Spirits. There are twenty unique burgers to enjoy, and even a house made veggie patty. All features are housed in a newly renovated and intimate atmosphere which has become a community hub. Guests come to chat with the eclectic and friendly staff, make new friends, or just relax. Voodoo Tiki Tequila is a small batch boutique tequila company which produces 100% blue agave, all natural ultra-premium traditional and infused tequilas in artisan glass. Careful agave selection, slow cooking, fermentation, distillation processes lead to the sweet, “No Burn” profile that has become the Voodoo Tiki trademark tequila experience. 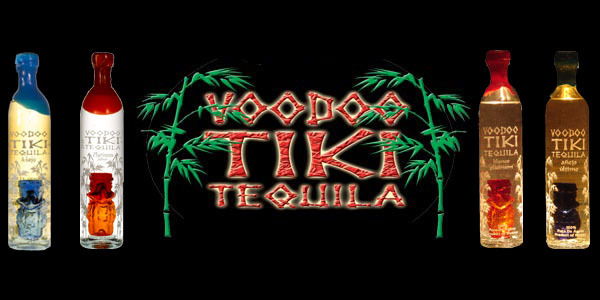 Voodoo Tiki Tequilas are available in 11 states and 7 countries and are sold exclusively in select restaurant, bar, nightclub and off premise locations through the company’s “Select Retailer” program. 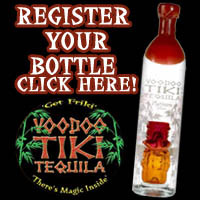 Retailers that would like to carry Voodoo Tiki Tequilas should call 1-Voodoo-Tiki (1-866-366-8454) for an application. Press inquiries should be directed to Press@VoodooTiki.com. Fans visit www.VoodooTiki.com to get your Free Official Voodoo Tiki Tequila TRIBE Dog Tags by mail.